A debt crisis is when anyone, whether it's you, your business or your country, owes more than they can pay off in loans. However, a country has a major advantage over you -- it can print its money. Find out why cutting expenses, which is the best way for you to get out of debt, may be the worst way for a country to resolve its debt crisis. Home mortgages, including both first and secondary mortgages, and home equity lines of credit. Credit card debt also called revolving credit. Auto, furniture and student loans, also known as non-revolving credit. Both revolving and non-revolving credit are types of consumer debt. Any sudden loss of income, or increase in costs, can cause a household debt crisis. The biggest reason is medical expenses, which cause half of all bankruptcies in the United States. It's the main reason why Congress wants to reform health care. Other reasons include extended unemployment or uninsured losses. A household debt crisis can also creep up slowly. One cause is poor debt management, such as only paying the interest on credit cards. Another is economic change, such as when the housing asset bubble burst in 2006. Many homeowners had interest-only loans with teaser rates that reset after the first year. They had planned to sell their home before then, but now the house was worth less than the mortgage. A third example is families who get in over their heads with education loans. The price of education keeps going up, and parents don't want to tell their children they have to drop out. The 2005 Bankruptcy Protection Act also caused many household debt crises. The law made it more difficult for families to declare bankruptcy on their consumer debt. Homeowners instead used the equity in their homes to pay off the bills. 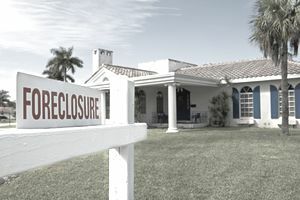 As a result, mortgage defaults rose 14 percent in 2006, and 200,000 more families lost their homes. Once a household debt crisis occurs, there are only three ways to resolve it. First, increase income through a second job, a raise or promotion to a better job, or selling assets such as a home. Second, cut expenses. That includes switching to a lower interest-bearing credit card, using cash instead of credit, and paying extra on your debt. Third, declare bankruptcy and start over. A business debt crisis is when a company has trouble repaying its loans, known as bonds. They get downgraded as a poor investment by a credit rating agency such as Standard & Poor's. Once this happens, it becomes more expensive for the company to issue new bonds. Unless the company can convince creditors it has made the changes to do better, it can go into a downward spiral where servicing the debt takes up the cash flow that would otherwise go into new business development or even operations. Sometimes the company must declare Chapter 11 bankruptcy to give it relief from creditors and enough time to reorganize and stay in business. It might also find another company to buy it and assume its debt. If it files Chapter 7 bankruptcy, that means it goes completely out of business. Bondholders have the best chance of getting paid back from the remaining assets. Business debt crises are caused by many factors. Many small businesses wind up in debt crises because they didn't have enough capital to cover operating costs through the first unprofitable years. An economic downturn can put many otherwise profitable businesses into a debt crisis. Sometimes the company just has a poor business model or a product that doesn't have a strong competitive advantage. Last but not least, the company's leaders may just not have good general management skills. The solution to a business debt crisis depends on its cause. Sometimes lenders require new management before agreeing to lower payments. If a recession has occurred, the company may need to scale back, cut costs and improve customer service. Often it can hire a turnaround consultant who can identify better business models or products. There is no international bankruptcy court that lenders can go to for fair adjudication. That makes it easier for countries to default. Sovereign debt is not secured by any collateral. In that regard, it is more like credit card debt than a mortgage or auto loan. Most countries can print their currency to pay off a debt. That's why the Greek debt crisis escalated into the Eurozone crisis. In 2001, Greece had exchanged its drachmas for euros. It had to rely on the European Union to print more euros to pay off its debt. In return, the EU demanded that Greece cut costs to stop racking up more debt. That slowed its economy, making debt repayment even more difficult. Greece entered a deep recession, with a 25 percent unemployment rate, political chaos, and a barely functioning banking system. Concern over whether the EU could pay for the Greek crisis soon affected all European bonds, especially Italy, Spain, and Portugal. Within a few years, the EU itself had slipped back into a recession. That's another difference between sovereign debt crises and the other forms. If a household or a business cuts costs, it will have more money to pay its debts. Since government spending is a component of gross domestic product, when it cuts costs it also reduces economic growth. It would be as if a household stopped eating to pay for its debt. Soon, it would run out of energy to work, making debt repayment even more unlikely. The EU debt crisis was unusual. It was caused by lower-income countries, like Greece and Italy, enjoying the benefits of low-cost debt due to their inclusion in the higher-income EU. That wasn't a problem until investors lost confidence the Greek government's ability to repay. Sovereign debt crises are usually caused when countries rack up too much debt to pay for wars. When they print too much money to pay off the debt, they create the even worse problem of hyperinflation. Sovereign debt crises can also be caused by a recession. The 2008 financial crisis was the primary reason for Spain's crisis. Even though it had been fiscally responsible, its banks were heavily invested in real estate. When the bubble burst, the government took over is banks' debts. The recession also caused Iceland's debt crisis. Icelandic banks invested heavily overseas. When the government nationalized the banks and printed the money to pay off the debt, the value of its currency fell 50 percent in just one week. The U.S. debt crisis was self-inflicted. Unlike Greece and most other countries that experience a debt crisis, interest rates on U.S. Treasuries weren't rising. In fact, they were at 200-year lows. Instead, the U.S. debt crisis was caused by the refusal of Congress to raise the country's debt ceiling in 2011. They thought it was the only way to force reduce spending and lower the national debt. Their refusal almost made the U.S. default on its debt. They finally raised the ceiling, but only after installing mandatory spending cuts, called sequestration. Congress narrowly avoided falling off the fiscal cliff.